For other uses, see Robert Drew (disambiguation). Robert Lincoln Drew (February 15, 1924 – July 30, 2014) was an American documentary filmmaker known as one of the pioneers—and sometimes called father—of cinéma vérité, or direct cinema, in the United States. Two of his films are archived in the National Film Registry of the Library of Congress. The moving image collection of Robert Drew is housed at the Academy Film Archive. The Academy Film Archive has preserved a number of his films, including "Faces of November," "Herself: Indira Gandhi," and "Bravo!/Kathy's Dance". His many awards include an International Documentary Association Career Achievement Award. Robert Drew was born in Toledo, Ohio. His father, Robert Woodsen Drew, was a film salesman and a pilot who ran a seaplane business. Drew grew up mostly in Fort Thomas, Kentucky. He left high school to join the U.S. Army Air Corps as a cadet in 1942 and qualified for officer's training. At the age of 19, he was a combat pilot in Italy flying the P-51 dive bomber, completing 30 successful combat missions. During that time he met Ernie Pyle, an important experience for a pilot who would become a journalist. Drew was shot down behind the lines, where he survived for more than three months. Back in the U.S., he was a pilot in the First Fighter Group, the first to fly jet airplanes. He wrote an article for Life magazine about the experience of flying a P-80, and was offered a job. While working at Life as a writer and editor, Drew held a Nieman Fellowship at Harvard University. In 1955 he focused on two questions: Why are documentaries so dull? What would it take for them to become gripping and exciting? He developed a unit within Time Inc. to realize his vision of developing documentary films that would use picture logic rather than word logic. Drew envisioned—as he explained in a 1962 interview—a form of documentary that would "drop word logic and find a dramatic logic in which things really happened". It would be "a theater without actors; it would be plays without playwrights; it would be reporting without summary and opinion; it would be the ability to look in on people’s lives at crucial times from which you could deduce certain things and see a kind of truth that can only be gotten from personal experience." He formed Drew Associates around this time. Some of his early experiments premiered on The Ed Sullivan Show and The Jack Paar Show. Drew recruited like-minded filmmakers including Richard Leacock, D.A. Pennebaker, Terence Macartney-Filgate, and Albert Maysles, who all have had internationally renowned careers. They experimented with technology, syncing camera and sound with the parts of a watch. One of Drew Associates' best known films is Primary (1960), a documentary about the Wisconsin Primary election between Hubert Humphrey and John F. Kennedy. It is considered to be one of the first direct cinema documentaries. According to critic Matt Zoller Seitz, Primary "had as immense and measurable an impact on nonfiction filmmaking as Birth of a Nation had on fiction filmmaking." On June 11, 1963, the Alabama Governor George Wallace blocked the entrance of the University of Alabama to oppose integration. His defiance of court order rapidly became a national issue in the U.S. Drew Associates had a cameraman in the Oval office and recorded the meetings over the crisis. The result played on TV in October 1963. Crisis: Behind a Presidential Commitment not only fueled discussions over the Civil Rights Movement, it also triggered a profound questioning over the political power of cinema verite or direct cinema. Politicians became more cautious about allowing access by documentary filmmakers, working closely with many of the original Drew Associates filmmakers who had and have continued to have documentary careers of their own. For Crisis: Behind a Presidential Commitment (1963), Drew convinced President John F. Kennedy to let his crews shoot candidly in the White House, and Drew Associates filmmakers (including Gregory Shuker and Richard Leacock) took cameras into the Oval Office and into the home of Alabama Governor George Wallace who was resisting desegregation. "I proposed to make a next film on him as a President having to deal with a crisis," Drew has recalled. "'Yes,' he said, 'What if I could look back and see what went on in the White House in the 24 hours before Roosevelt declared war on Japan?'" The film includes candid presidential meetings over the crisis precipitated by Wallace when he planned to physically block the entry of two African-American students to the University of Alabama. The program aired in October 1963 on ABC and triggered a storm of criticism over the admission of cameras into the White House. Drew's films have been shown on ABC, PBS, the BBC, and film festivals all over the world. Film director Sir Ridley Scott credits his early experience working at Drew Associates as an assistant with turning his career from design to film. Drew has made scores of documentaries and has won awards internationally. His subjects have included civil rights, other social issues, politics, music, dance and more. One of his most recent was From Two Men and a War, which recounts his experience as a World War II fighter pilot and his encounters with the Pulitzer Prize-winning reporter Ernie Pyle. Drew died on July 30, 2014, at his home in Sharon, Connecticut. ^ a b "Robert Drew, Documentarian Who Fathered Cinema Verite, Dies at 90". variety.com. Variety. ^ a b c d e f g h i j k l m n o p q r s t u v w x y z aa ab ac ad ae af ag ah ai aj ak al am an O'Connell, P.J. (November 26, 1992). Robert Drew and the Development of Cinema Verite in America. Southern Illinois University Press. pp. 5–9. ISBN 0809317796. ^ a b c "National Film Registry Titles". National Film Preservation Board. Library of Congress. Retrieved 2014-07-28. ^ "Robert Drew Collection". Academy Film Archive. ^ "T:64094". The Paley Center. Retrieved July 16, 2014. ^ "From Two Men and a War". IMDb. IMDb. Retrieved 2014-07-25. ^ "A Nieman Year Spent Pondering Storytelling". Nieman Reports. Nieman Foundation for Journalism at Harvard University. September 15, 2001. Retrieved 2016-08-19. ^ "Direct Cinema: Richard Leacock and Robert Drew discuss the original philosophy of 'Direct Cinema.'". YouTube. ^ "Filmmaker Robert Drew discusses his ideas that created American cinema verite (1962)". Vimeo. Retrieved 2014-07-25. ^ a b Newcomb, Horace (2004). Encyclopedia of Television. Routledge. ISBN 978-1579583941. ^ Seitz, Matt Zoller. "Filmmaker Robert Drew on light cameras and light rifles". New York Press. New York Press. Retrieved November 25, 2003. ^ a b c d "Film Library". Drew Associates. Drew Associates. Retrieved July 18, 2014. ^ a b "Drew, Robert". Museum of Broadcast Communications. Museum of Broadcast Communications. Retrieved 2014-07-25. ^ "Ridley Scott's American Gangster". Coming Soon.Net. Coming Soon. Retrieved 2014-07-30. ^ a b "From Two Men and a War". Tribeca Film Festival. Tribeca Film Festival. Retrieved 2014-07-30. ^ Pedersen, Erik (1924-02-15). "Robert Drew Dead, Cinema Verite Pioneer". Deadline.com. Retrieved 2014-07-31. ^ "Man Who Dances: Edward Villella". IMDb. IMDb. 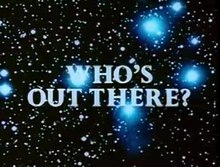 ^ "Who's Out There?". Drew Associates. Retrieved 2016-08-19. ^ "784 Days That Changed America: From Watergate to Resignation". Drew Associates. Retrieved 2016-08-19. ^ "Warning from Gangland". Drew Associates. Retrieved 2016-08-19. ^ "Marshall High Fights Back". Drew Associates. Retrieved 2016-08-19. ^ "Shootout on Imperial Highway". Drew Associates. Retrieved 2016-08-19. ^ "For Auction: An American Hero". Drew Associates. Retrieved 2016-08-19. ^ "River of Hawks". Drew Associates. Retrieved 2016-08-19. ^ "Your Flight is Cancelled". Drew Associates. Retrieved 2016-08-19. ^ "Messages from the Birds". Drew Associates. Retrieved 2016-08-19. ^ "London to Peking: The Great Motoring Challenge". Drew Associates. Retrieved 2016-08-19. ^ "Life and Death of a Dynasty". Drew Associates. Retrieved 2016-08-19. ^ "L.A. Champions". Drew Associates. Retrieved 2016-08-19. ^ "On the Trail of the Vanishing Birds". Drew Associates. Retrieved 2016-08-19. ^ "From Two Men and a War". Drew Associates. Retrieved 2016-08-19. ^ "A President to Remember: In the Company of JFK". Drew Associates. Retrieved 2016-08-19. ^ Sutton, Ron. "JFK Redux: From Two Men and a War". Documentary.org. International Documentary Association. Retrieved 2014-07-30. "Drew Masterworks, DVD intro film"
This page was last edited on 11 October 2018, at 00:58 (UTC).